‘Narrative’ - a message that tells the particulars of an act or occurrence or course of events. ‘Medium’ - the platform that gives prominence to the narrative: Cinema, television, play [on stage], a published work, etc. 'Form' - the TYPE/STYLE of writing, i.e. Novel, Novella, Short Story, Poem, Essay, Drama (on stage), etc. In some countries these are also called 'genre'. ‘Genre’ - the mode of a specific form, i.e. Thriller, Suspense, Romance, Horror, Comedy, Melodrama, Mystery, Parody, Satire, Science-fiction, etc. Before discussing the character of a short story, let’s define a few forms. The Novel - a fictional prose narrative of considerable length, containing a plot that may accommodate various themes, messages and many characters. The Novella - a fictional prose narrative of intermediate length, in other words, a novel with less words, themes and characters. The Legend - defined by Timothy R. Tangherlini: A short (mono-) episodic, traditional, highly ecotypified (specifically located in place and time), historicized narrative performed in a conversational mode, reflecting on a psychological level a symbolic representation of folk belief and collective experiences and serving as a reaffirmation of commonly held values of the group to whose tradition it belongs. The Essay - an author’s point of view presented without a plot and demonstrations by characters. The Short Story - a narrative with a specific structure and dynamic components. It is an author’s point of view on ONE specific theme (topic/subject/issue), but plotted and demonstrated by fictional characters. The Short Story is about conflict between the author’s point of view and one or another issue/reality/possibility. The author use the main character - the protagonist - to demonstrate their view, and an antagonist to demonstrate the issue/reality/possibility. The latter could be another person, a community, a perceptions, a phobia, an aspiration/dream, a memories, etc. Essential elements of a short story are: Conflict, Intrigue (a crafty and involved plot), Suspense and a Climax. The Short Story demands action – showing, acting, demonstrating - and NOT telling. Up to 50% dialogue is needed to meet this demand. The short story allows no unnecessary description or dialogue. Every word that describes background and characters, and every word spoken by the characters, must be crucial to the theme. When describing, grammatical rules may not be bent by an author. Spelling and the construction of sentences and paragraphs should be neat and striking. However, dialogue have no grammatical and moral constrictions. Characters may curse, speak slang and interrupt each other as they please. Evidently a short story should be a SHORT story in order to meet its purpose. 1500-2500 words seem to be the maximum readers of today prefer. Flash Fiction, sometimes called Short-Short Stories, is even shorter with a maximum of 800-1000 words. Beginning – This movement is for the introduction of the background, the theme (topic, subject or issue) and characters. Apart from the title of the story, the Beginning, and especially the first paragraph, is the most important part of the story. It is the bait that encourages a reader to read on. The reader of short stories wants instant entertainment, an instant escape out of their own reality; they want action. They really don’t have the time or patience to accommodate a longwinded introduction of theme and characters. Writers may have the best stories to tell, but if they fail to capture the attention of a reader in the first 2-3 paragraphs, their stories will never be read and appreciated. The Middle - This is the movement meant for the development of the story via a series of events. The tension in this movement should increase, like a crescendo in music, in order to end this particular movement with a climax. The End - In this movement the conflict is resolved, all loose ends are tied and the message the author wants to pass on becomes clearly perceivable. Characters are at last ready to live happily forever after. Some short stories have ‘open’ ends, not revealing the author’s point of view, but forcing the reader to draw their own conclusion. However, the average short story reader prefers closed endings, and preferably happy endings. 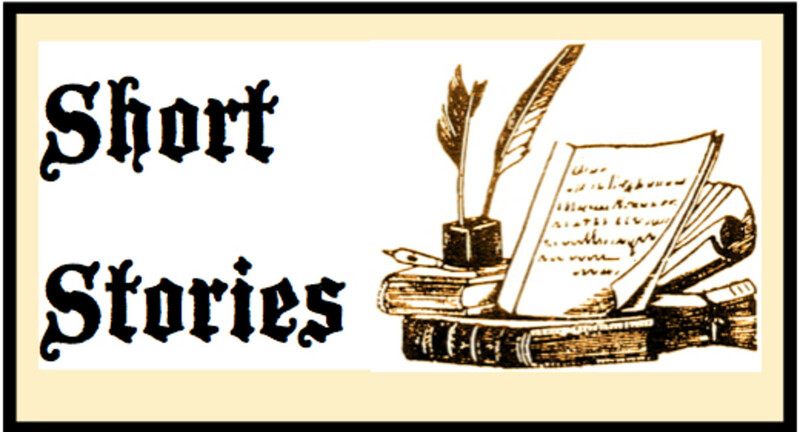 √ Only ONE theme/topic/issue is allowed in a short story. √ Only one narrator (story-teller) is allowed from the beginning to end. The narrator may be the main character, allowing the author to write in the first-person narrator. This narrator has the ability to describe feelings, perceptions and opinions intensely and thoroughly, though only his own and their interpretation of those of other characters. This narrator CAN NOT read the minds and hearts of other characters. Or the narrator may be an invisible eye (camera) in the corner of the background, allowing the author to write in the third-person limited narrator. This third-person can also NOT read minds, or know what has happened in the past or what will happen in the future. It can only see/hear what the characters in his sight do and say. Or the narrator may be a third-person omniscient narrator – a godlike creature able to see/hear/know everything. Using this narrator allows the author to reveal all their personal knowledge and wisdom, but it could also inspire them to tell the story, instead of showing/demonstrating it according to the literary demand of a short story. √ A relevant background. Writers of short stories should see the background of a short story as a stage – a confined space suitable for all actions relevant to the theme. If the theme is for example ‘abortion’, the background should be a clinic, or a bedroom, or even the middle of nowhere where the conflict between protagonist and antagonist can be demonstrated effectively. Of course, characters may travel, but relevant to the theme/topic of the story. √ The minimum characters. A short story needs a protagonist – a main character appropriate to the theme/topic/issue – and an antagonist offering opposition. The antagonist can be a person or something like a phobia or social issue. The conflict is between protagonist and antagonist, and the winner should always be the protagonist. Sometimes minor characters are needed to support the protagonist and/or the antagonist. They should be kept in the background and never allowed to steal the limelight of the protagonist or antagonist. The developing of characters in a short story is important. At the end at least the protagonist should be wiser, as they have conquered the theme/issue. √ A Plot – A short story has a Plot – a clearly defined plan. This is not a boring report of an event from beginning to end in a logical order, or description of the pros and cons of a specific matter, but something like a puzzle. Plotting a story means the author provides relevant information in the form of description, dialogue and interaction between characters in a sequence of cause and effect. A short story may, in fact should, start with a crisis: The protagonist has to find themselves all of a sudden between the devil and the deep blue sea, facing the antagonist. √ A message – A Short Story has ONE specific message, also called ‘idea’. This is not exactly the so-called moral of a story, as the moral could become clearly perceivable during the course of events, but a message or idea that may change or enlighten a reader’s perspective on the theme/topic. The message is not necessarily the author’s personal point of view, but an undeniable truth that may even enlighten the author. The idea/message of a successful short story is like a flash of lightning, and so often we only see it for a moment and either immediately forget about it, or muse on it in amazement. Χ) Moralization - The writer of short stories is not a preacher of morals. Χ) Instructive (didactic) - The writer of short stories is not an instructor or a teacher. Χ) Propaganda - The mission of a short story writer is not to provide information for the purpose of promoting some cause. Χ) Fanatism - (the opposite of propaganda). Showing excessive intolerance of opposing views should not be the mission of a short story writer. Χ) Agitation - The writer of a short story does not stir up public opinion in favour or against a specific issue. Χ) A negative ending - A short story has a positive ending. Justice prevails. Everybody receives their just deserts. Good conquers Evil. Short story writing is not only a career, or rewarding and profitable hobby, but also therapy. Turning our good and bad memories into short stories, enable us to understand ourselves and others better. 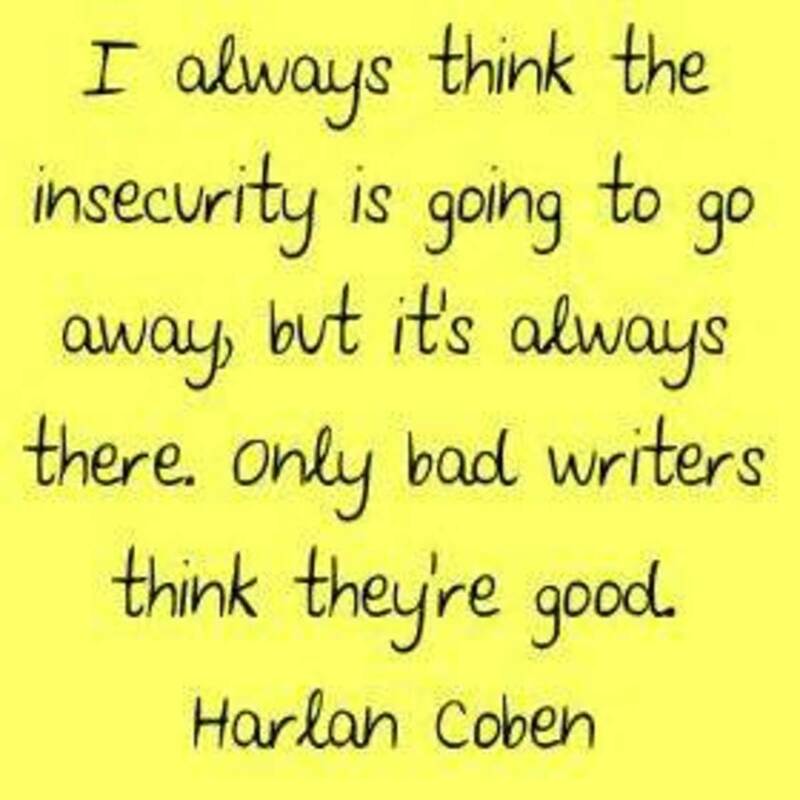 Writing relieves and heals emotional pain. This is basically the introduction of my course in short story writing. My students are assigned to write a story to the best of their ability, and then we improve it step by step in accordance with the demands of 10 modules. 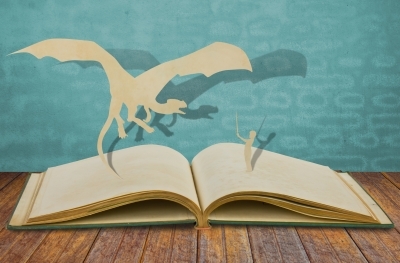 Do you feel inspired to write a short story in accordance with its character? Hi. Clear information to the reader.Great explanation. It is very useful. Fascinating stuff, Martie though I disagree with your initial definition of the short story - while a good story does of course need conflict, I don't think it necessarily has anything to do with the author's point of view. If a writer has a particular drum to bang, they might want to explore their argument via the story, but they could also just be writing something to entertain. Great Hub. Thank you Martie, This is very helpful. I wrote.....something......short story? Novella? here on HP. It was well received, and I can't get the story off my mind. So I'm rewriting it. I will be using your article as a guide. Thanks for sharing your knowledge. Read this again Martie, hoping I am managing to follow your tips here! Enjoyed this Hub. I will certainly let you know when I publish it. I have written a short fiction story but it needs rejigging. Trying to get my head around it, a bit tricky at the moment. You will understand when you read it. I seem to have written myself into a cul de sac. I am trying to figure a way out or just redo the whole scene. Shame... I really like it but it just doesn't work right at the moment. Wow!!! I must say that you wrote a great coverage for " Short Story". This is one of those hub to be bookmarked and use as reference. Thanks so much for sharing. Congratulations on putting this article together. Short story writing can be such a complex idea/concept. You have transformed it into easy to understand language. Writing short stories is an art tempered by skill. The skills that you have detailed here. I will be bookmarking this for future reference. I may even try to write a few, now that I know how it all hangs together. Thanks Martie for a great read and insight. @ SilentReed – Well, before we can do anything we have to try first. Enjoy! @ Diane Woodson – You are welcome to contact me via email. We do learn (and show progress) easier and faster through a specialized course. @ Wayne Brown – so good to see you in my corner :) Thanks for your kind and supportive comment. @ marcoujor – Thanks for your beautiful, inspiring comment. I have to emphasize the therapeutic value of short story writing. Personally, in real life, I cannot be rude; I cannot render evil for evil. But I can easily create a strong, unscrupulous character, taking revenge on my behalf. So I have written all anger and grudges out of my system. Take care, my dear Maria. I needed to fully allow my head to absorb this information and I know I will refer to this masterful tutorial often. I have been writing merrily along with some rhyme and little reason...and truly see the practice and standards behind the genres now. I'm a writer but would love to take your course. This Hub is full of information for all of us to learn from and I can see clearly that you did more than a little research in the writing of this Hub. Best Wishes to you! Martie, thank you SO much for linking me up to this amazing hub! I'd not have seen it otherwise! i had NO CLUE what i was doing, i simply was pushed by a 'mentor' who read me on Linkedin for over a year and kept bugging me to write a book.. He's teaching me about pov's and protagonist/antagonist, and short stories vs. long short stories vs. novellas, etc..
he says that a short story is between 5,000, and 7500 words? and a longer s/s up to 15,000? i'm up to 21,000 right now and am in serious shock that i am! LOL.. I've been reading the novel THE ROBBER BRIDE and am noticing how Atwood mixes showing (action, description, and dialogue) and telling to keep the story moving along. Example: Here near the start of chapter 23 is a show sentence followed by a tell sentence -- "Good choice," says Zenia, laughing. In Tony's opinion it was not a good choice. About flash fiction, that form is new to me as both a writer and a reader. A local writing group I'm in critiqued a member's one page story recently. I thought it was effective, in part because it used techniques of poetry. I guess flash fiction is closely related to prose poetry. This hub has gotten me interested in reading your stories. I'll read, "Committed in a Dream" this evening. Hi Martie, Too bad Hub Pages doesn't seem to have the Novella category available, (at least I haven't found it) so I'm changing the group classification to novel. Thanks again for the heads-up. @ B. Leekley – Ref. the number of words, see my first paragraph to SilentReed. I have just downloaded “To Build a Fire” and might do a review on it. If it is only ‘telling’, it is according to literary critics an essay. I remember during my studies (to become a short story writer) we had to distinguish between the short story and essay. And that was quite a task. Some essays are indeed so well-written that you can easily classify them as a short story, but only if you don’t know/understand the rules of a short story, and when you simply call a story a short story because it is not a long story. I have to repeat your words: “What is essential in a short story is that it tell a story.” But this is also the rule for all other genres in fiction. Thank you so much for your profound comment. @ AliciaC – Thank you. I always appreciate your visits and comments. Very interesting and helpful hub. Great research on short stories. Voted up! @ SilentReed – Yes, especially in the past – before TV – many short stories were up to 10,000 words, and they were called short stories (and not novellas) because they were written according to the rules of a short story – one theme, one narrator, one protagonist, one antagonist, etc. etc. Of course, some characters could be moralizers and instructors, but the writer should never allow them to spoil the story. This is the challenge – presenting a bigot or teacher as a character without forcing the reader to attend their boring sermons/classes. The writer is supposed to allow them to say only the essential that will give the reader a pretty good idea who and what they are. Not easy! We writers get so exited when we obtain new information; we want to share it all. But then we should rather write a manual/handbook, or a non-fiction article. That would be interesting - explaining how I present my point of view in a short story. I will do this as soon as I get the time. That picture of mine – I was one of the winners of a competition. But is one thing to participate in a literary competitions with academics as adjudicators – it’s like writing an exam - and quite another thing to write for a popular magazine targeting a specific group of readers. Women want romance, men want adventure, etc. and they all want stories. For them the pudding is in the eating. Goodness gracious. Wow. I eagerly look forward to reading more of your work. This hub explains a lot about writing styles and makes me cringe that I have labeled my latest work as a "short story" although it does not meet this criteria. Neither does it meet novel length. I will now go back and try to recategorize it properly. Thanks for this interesting and educational insight. Wonderful. 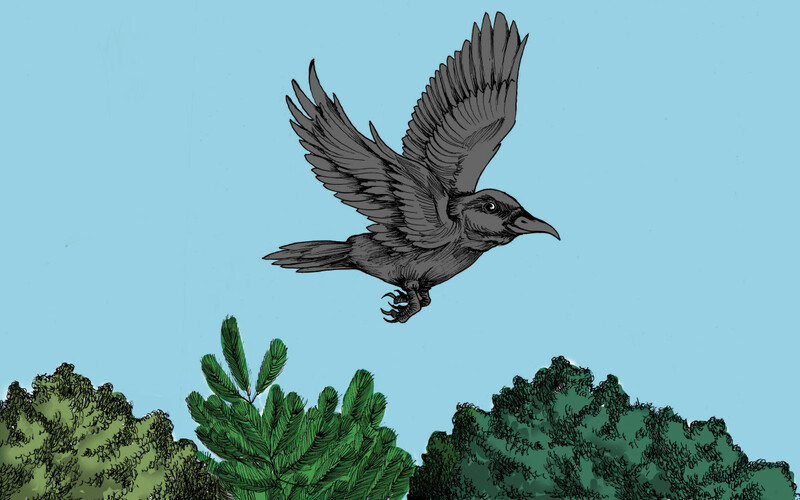 A useful hub, informative and interesting, about The Character of a Short Story.Voted up! Thank you for creating this very helpful hub, Martie! It contains so much detailed and useful information. I'll be reading it many times. Congratulations on having so many short stories published! Most of your points are right on but not all. This can be seen in the works of great masters of short story writing. For instance, "To Build a Fire" by Jack London is over 7,000 words long, has only 8 words of dialogue, has much tell rather than show in it, and has an unhappy ending, and yet it is one of the most gripping, memorable, and much anthologized short stories ever. Having lots of dialogue, keeping the short story under 2000 words, and having a happy ending are fine guidelines that do probably increase the chances of having satisfied editors and readers, but they are not essential to creating a short story and a great one. What is essential in a short story is that it tell a story. To be sure of that, begin with a logline -- a one sentence summary of who, in order to attain what goal, confronts what opposition in what unique to those characters way, leading toward what decisive conflict. Clipping this and thanks for the clear definitions here...we write so much that we sometimes get confused! Thanks for sharing, and I pass this hub on. You brought out a very interesting observation; people today don't seem to have the time to read "LONG" short stories:) since a short story can contain as much as 10,000 plus words like those written in an earlier era. I read some flash fiction which I think is consider a short story but they lack the appeal (for me) because of their brevity. Just when the story starts to get interesting, it's over. On the other hand, I am also guilty of scanning large portion of a "long" short story just to get to it's ending when the story can't keep my interest from waning. I'm a bit confuse on an item you wrote about what a short story should not be. If one of your character moralize, is a bigot espousing inflammatory views as part of the writer/author's depiction of the protagonists, does it fall under the don'ts? With stricter rules being implemented as to the kind of photos to use, I'm also curious as to how you created your own images for this hub. Could you expand more on POV (point of view) of narrating a story, perhaps another hub? (did I miss it?) This is where I really need help if I wish to improve my story telling. Shoot, now you tell me! I have been doing it all wrong. On the serious side, Martie you have gathered a large amount of information here and put it in an orderly and understandable fashion. Your writing is always sought out, interesting and entertaining. This is no exception. @ Always, you have all the talent in the world to write perfect short stories. Go for it. 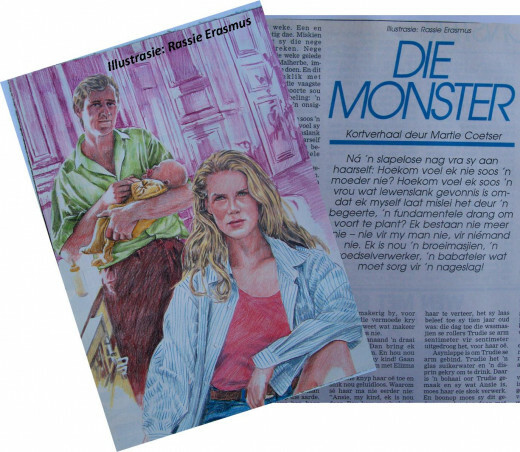 You know you can always call on me :) BTW, being a published short story writer in Afrikaans and writing short stories (or anything) in English are two totally different things. I do find it difficult to use the English language just as effectively as Afrikaans. Afrikaans comes out of my heart, English out of my brain. I always feel like walking on thin ice while communicating in English. Always have to double-check. And then I am still not sure if my grammar is correct and if I have used words in the correct context, etc. Fortunately I was born with too much courage for my size :) And I have grown a thick skin and hair on my teeth :) Love you, Ruby! "...the bait that encourages a reader", you definitely know what that bait is my friend. What a wonderful hub for all writers to read. Your gentle way of teaching is one we can all benefit from. I certainly hope you will grace us with more hubs in the same (forgive the use of the term) genre! We can learn so much from you my modest friend. I am afraid of trying a novel but perhaps a short story. I've written three but certainly nothing to brag about. Thank you for this wonderful, insightful hub! Hi Martie, really enjoyed reading this. You are right - it is good to understand the parameters of the genre you choose to write. I so admire your courage in tackling stories in a second language. 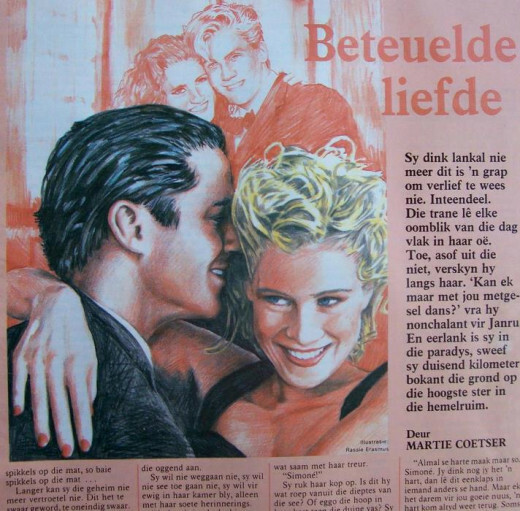 Ek het baie Afrikaans vergeet, maar ek kan nog goed lees! Dankie, jou prentjies is baie mooi! Goodness! There seems to be so much structure to the short story. I may be better off leaning towards the novella. Looks like I've got some learning to do! Martie, I know the approved letter would be awesome. I have only submitted to magazine article and that was a long time ago. Needless to say they were rejected. I just moved on to other projects, but I have been thinking about trying again. Your hub is a motiviating factor. Thanks again. @ drbj – I have stopped counting at 74. One day I will get all statistics running again. Or I’ll ask my granddaughter to do it. But don’t think I am a wizard in short story writing. I also have loads of failures to take care of. But before that, I want to translate them in English, and do some updates. Those days there were no cell phones and Internet was something to be found only in America. But maybe I must just leave it like that as reference to Living in SA in the ‘90’s. I hated love stories and would only write them for competitions. 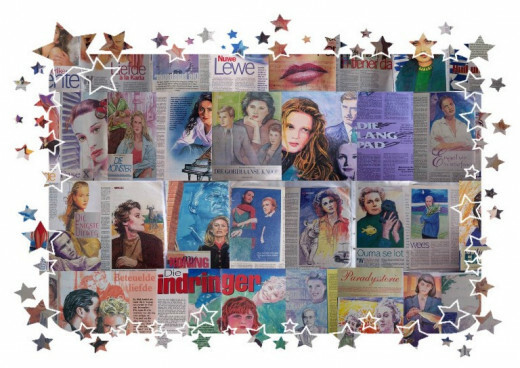 Then came the time beginning 2000 when my favorite magazine accepted ONLY love stories, and to my surprise they’ve accepted all my efforts – and I did not even know much about love at that stage of my life. 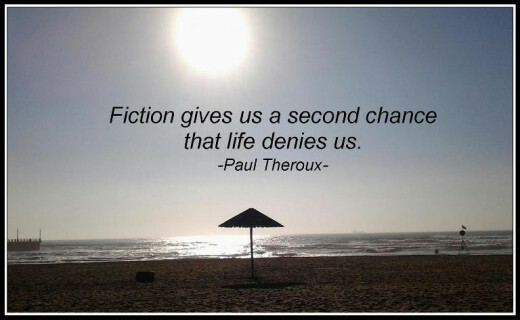 So true, fiction does give us a second chance that Life denies us. Anyway, I am rambling. You may be a fly with an iPad on my wall. Anytime. Professor Martie, This is a fantastic hub as it explains all of the details of writing a short story so clearly. I knew some of these thing, but you certainly taught me something with this hub. Voted up, useful and awesome. Thanks for such great information, now marked for me to return and read again. Shared also. 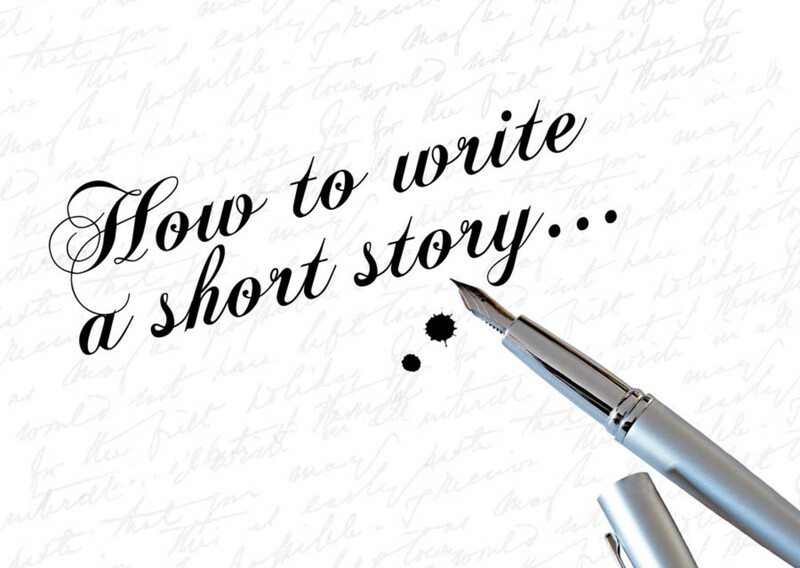 Thanks so much for this very thorough and insightful hub here as to writing a short story. Congrats to you on your many published short stories. I had no idea! I will want to keep this handy, although I do write non-fiction for the most part, as that is what I know and have experienced. I do love your wonderful words on that lovely and serene image/photo at the end there. I would have loved to have been a fly on the wall during the short story course you taught, Martie. Oh, wait a minute, then I would not have been able to take notes. Strike that. Make it a student with an iPad, m'dear. How many short stories did you have published? Looks like quite a number of them based on your attractive collage. Thanks for sharing your empirical knowledge. You told me to let you know if I found them. Glad I could help. Wow, I am going to have to read this series. I can learn a lot from you. In the section marked 'The minimum characters', you have the wrong spelling for piece, should be peace, different meanings. In 'A Plot ', you have see and sea, both should be sea. Your English is wonderful for a second language.